Top Shark is a free poker rankings and tournament statistics database from Poker Pro Labs. 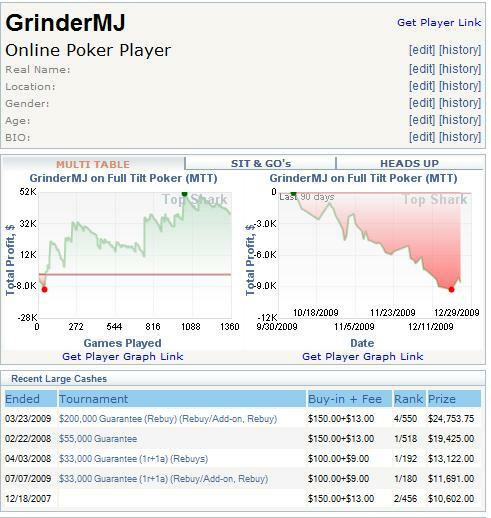 The site collects information for multi-table tournaments, sit and gos, and heads-up matches. It is 100% free to use and offers critical information on opponents and their results. Many players like to be able to track their own progress in multi-table or single-table tournaments, but do not wish to spend the hundreds of dollars required for a full software package. Other times, players simply want to see how their friends, favorite pros, or feared enemies are doing in order to keep tabs on them. Enter Top Shark, a free poker tracking site from Poker Pro Labs. The first thing to look at is the “Player Statistics” area, which allows you to enter in any player’s name and search for them across the supported poker rooms. Entering in a name brings them up in a database; the results can be sorted by date, game type, limit, table speed, buy-in, and number of entrants. 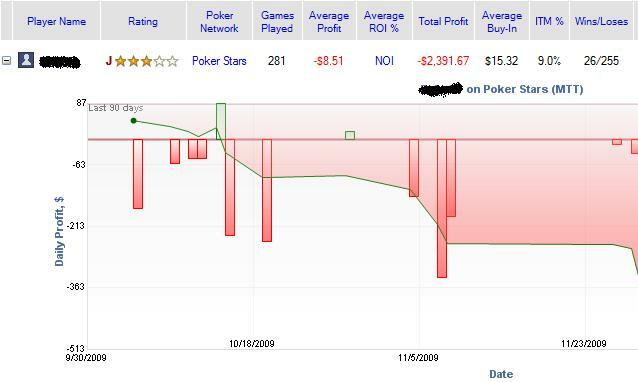 Once a player comes up in a search, you can see the number of games played, average profit, average return on investment, total profit, average buy-in, in the money frequency, wins/losses, early finishes, middle finishes, middle-late finishes, and late finishes. Also inside the Player Profile section are boxes that give data like recent significant cashes and the last 10 poker tournaments entered. There's also a box for “Tournament Rankings,” which shows their MTT ranking, SNG ranking, and Heads-Up ranking compared to other players. Considering this is a free service, Top Shark is a helpful place to track tournament results for friends or villains that you play against. Also listed are pros that many poker aficionados follow, making it a lot of fun to use. For players who compete in any tournament type, using Top Shark is a no-brainer. Be aware that using programs like Top Shark may be against the Terms and Conditions of some online poker sites. Top shark combines OPR's MTTs and SharsScope's SNGS and it's totally free - can't beat that.